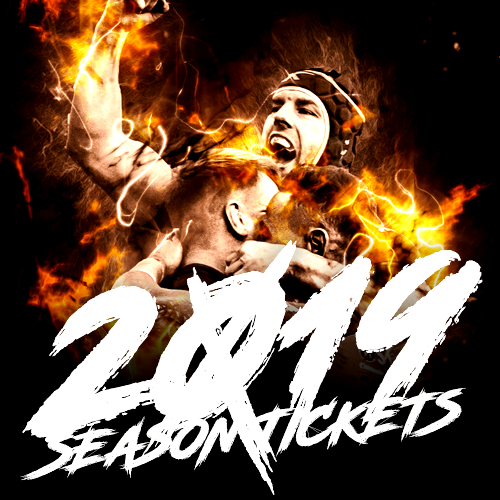 Get your hands on a Castleford Tigers 2019 Season Ticket! We’ve frozen our 2018 prices so don’t delay, join the Castleford Tigers family and enjoy more thrilling rugby league here at the Mend-A-Hose Jungle in 2019! Castleford Tigers Season Tickets for the 2019 Betfred Super League Season will become available from 12 noon on Monday 10 September 2018. Sign up before 5pm on Sunday 25 November to pick up our fantastic early bird prices! 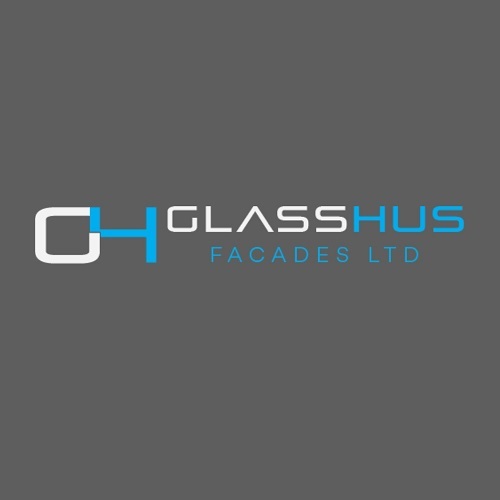 View our prices here. 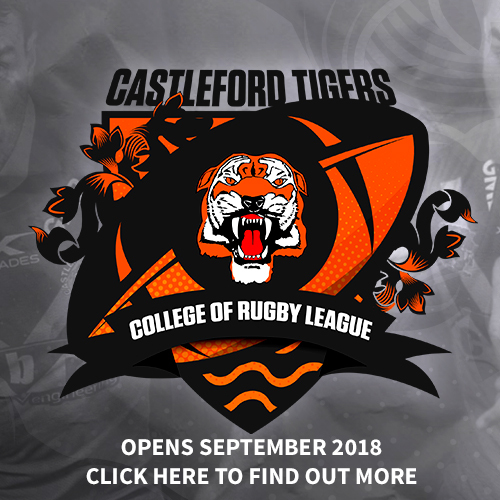 From 12 noon on Monday 10 September 2018 fans wishing to become Castleford Tigers Season Ticket holders for the 2019 Betfred Super League season can register at the Tigers Den Club Shop in Carlton Lanes shopping centre, open Monday to Saturday 9.00am to 5.00pm, or at the Castleford Tigers Sports Superstore in Xscape, open 10.00am to 6:00pm every day. Fans who are currently 2018 Season Ticket holders seated in the Main Stand can keep their seat for the 2019 season by renewing their Season Ticket before 5pm on Sunday 21 October 2018. To renew please visit the Tigers Den club shop in Carlton Lanes shopping centre or the Castleford Tigers Sports Superstore in Xscape, or you can call our ticket office on 01977 529264. Becoming a Season Ticket holder at Castleford Tigers doesn't just mean you secure the best priced tickets to enjoy our 2019 home games, there's a whole host of fantastic savings you can make too. 2019 Season Ticket holders will also receive a Magic Weekend discount voucher to receive 50% off the price of a ticket to enable you to enjoy the highly anticipated Rugby League event at a reduced price. In 2018 we had an absolute ball in Newcastle, we took a fantastic number of fans up to St.James Park and enjoyed a thrilling win over our local rivals Leeds Rhinos. 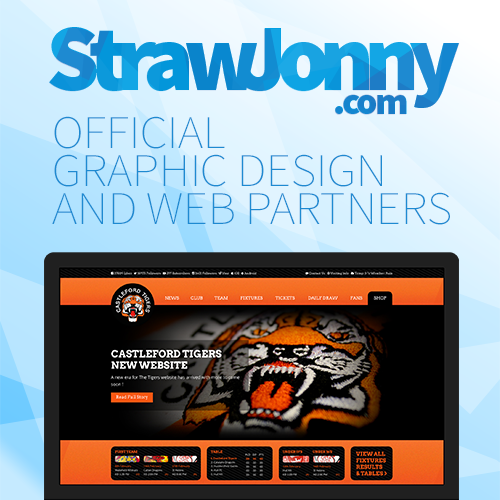 2019 Castleford Tigers Season Ticket holders also benefit from gaining free entry to all Under 19s and Under 16s matches here at The Mend-A-Hose Jungle. Get yourselves along and support rising stars. Junior - The Junior Season Ticket is available for anyone aged 16 or under on or before 31 January 2019. Valid ID will need to be produced when purchasing this ticket. Junior Season Tickets include Away Game Junior Swap vouchers via your card. 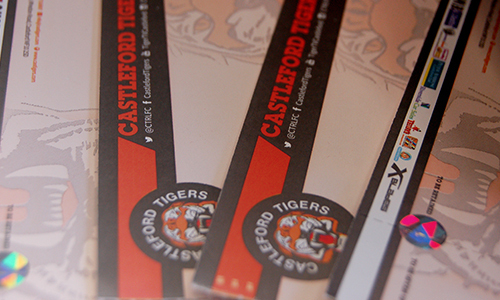 These can be exchanged down at the Tigers Den in advance of an away game day for a Junior Match Ticket. Junior Swaps and tickets are for the named person only and they cannot be transferred or sold to a third party. Young Person - The Young Persons Season Ticket is available for anyone aged 17-21 on or before 1st February 2019. 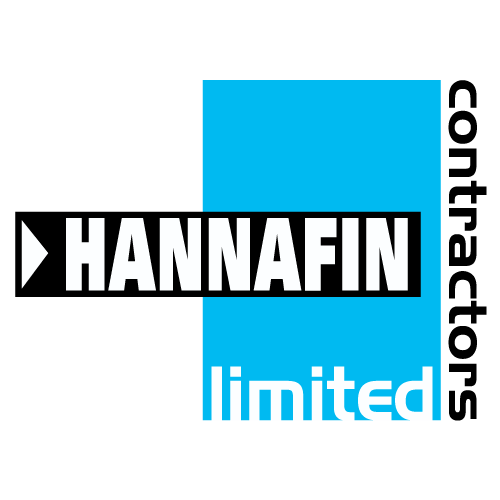 Concession - The Concession Season Ticket is available for full time students (valid ID with expiry date required) and senior citizens aged 60 years or over on the 1st February 2019. Adult – The Adult Season Ticket is available for everyone aged 22 or over on 1st February 2019, up to age 59 on 1st February 2019. 1. 2019 Castleford Tigers Season Ticket holders will be admitted to all 2019 Super League regular season home league matches (14 games) and all regular season home U19 Academy and U16 Scholarship matches played here at the Mend-A-Hose Jungle. Excludes Ladbrokes Challenge Cup matches and Super League play offs. 2. You must bring your Season Ticket Card to every match to be granted access to The Mend-A-Hose Jungle. 3. If your Season Ticket card is lost or destroyed you must report this to the Stadium Ticket Office Manager on 01977 529264, a new card will be allocated at a cost of £15.00. 4. 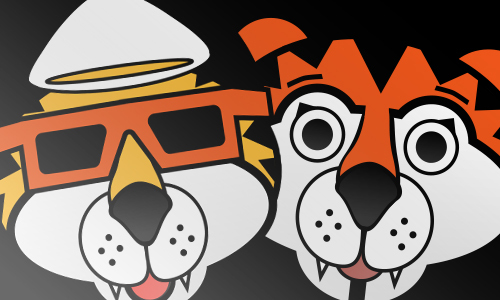 Castleford Tigers hold the right to refuse a replacement Season Ticket at their discretion. 5. A Season Ticket is only valid in its original form. No copies, printed or photographic versions of the card will be accepted. 6. Season Tickets are non-transferable, and proof of ID & age may be asked for. Random checks do take place at all home games so please ensure you carry appropriate ID. 7. Dates and times for the kick-off of each match will be announced by the club via its website, press releases, social media and in the matchday programme. Dates and kick-off times may be subject to change. 8. If the named holder of the Season Ticket card is a student, they will be required to show a valid student ID card upon purchase of the Season Ticket, and also on entry to the stadium for each match. 10. The Season Ticket card must be produced on demand and must be available for inspection at all matches where it has been used to gain admission to The Mend-A-Hose Jungle. 11. 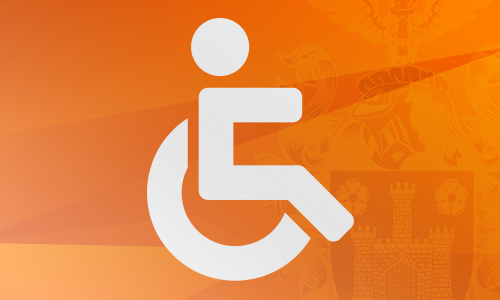 All Castleford Tigers Season Ticket holders agree to abide by the ground regulations. 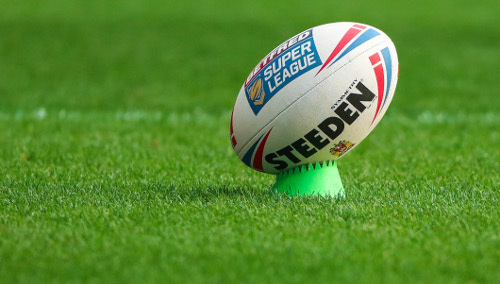 Any holder found guilty of breaking the ground regulations or acting in a manner the club considers to be detrimental to the club’s interest will have their Season Ticket confiscated and be banned from attending future games involving Castleford Tigers. No refunds will be issued. 13. Season Tickets paid for by Direct Debit may be suspended if any repayments are missed, and entry to the Mend-A-Hose Jungle denied. 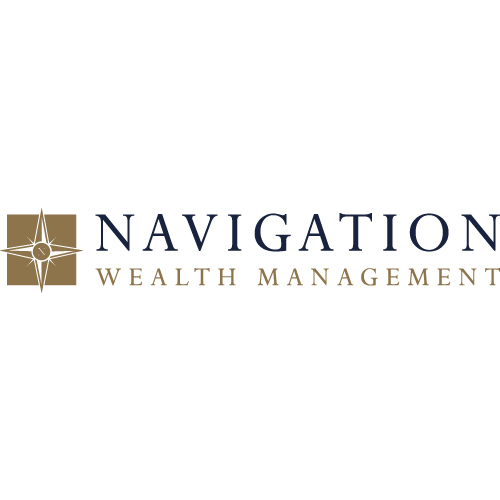 There will be a reactivation charge of £5. *2019 Castleford Tigers Season Ticket holders will be admitted to all 2019 Super League regular season home league matches (14 games) and all regular season home U19 Academy and U16 Scholarship matches played here at the Mend-A-Hose Jungle. Excludes Ladbrokes Challenge Cup matches and Super League play offs.